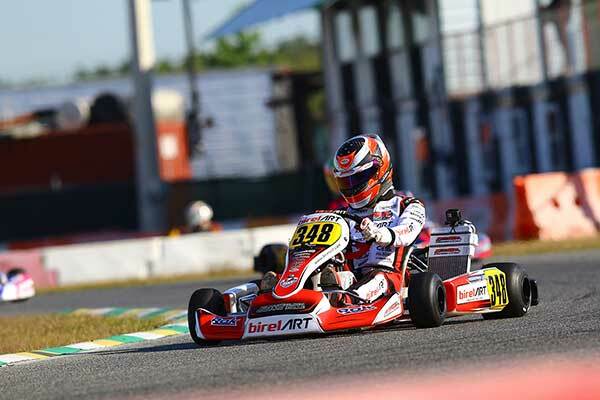 The ROK Florida Winter Tour came to an end last weekend in Orlando, Florida where Birel ART drivers took to the track to secure the top spot in some of the most competitive ROK Vortex classes. Battling with unusually cool temperatures and changing conditions, the team was able to succeed and dominate with confidence. ROK Senior pilot, Ryan Norberg, secured the Championship title while team mate Ryan MacDermid secured P3 in the series championship. Both drivers put on an excellent performance with MacDermid showing speed early, securing P3 in qualifying, Norberg P6. MacDermid would go on to win the Pre-Final with Norberg tucking in behind with a P2 finish. For the final, the duo would put in the work with a win for Norberg and MacDermid P2, however official results would put a two position penalty on Ryan MacDermid to finish P4. ROK Junior was total redemption for Thomas Nepveu, who recently signed with the Birel ART Factory race team to compete in Europe in just a few weeks. Nepveu would make almost a clean sweep of the entire weekend, qualifying pole, having some tough battles in the heats, started P10 in the Pre-Final, but was able to overcome the session with a big win. 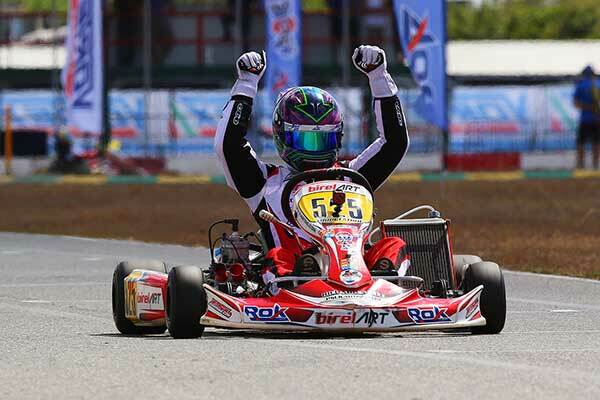 The final, Nepveu showed the full potential of his Birel ART taking a convincing and clean win. In the Micro class, Prime Power Team’s Ingratta would stay in P4 for Qualifying, Pre-Final and the final in what would be considered one of the more competitive classes of the series. Nepveu would finish 3rd overall in the championship for the 2018 season. ROK Shifter Master was saw Licciardi take home the gold and Vice Championship as he was able to win his pre-final and cruise to victory in the final aboard his CRY-30-S9. Michel Legrand was able to overcome some mechanical issues in qualifying and move up to P5 for the pre-final, and then a solid P4 in the final. ROK Shifter Senior pilots, Simone (Prime Power Team) and Greco, qualified P7 and P9 respectively. Pre-Finals would see Taurino move into P6, Simone P7 and Greco P8, finishing the final with Simone (P5), Taurino (P6) and Greco (P7). Mr Legrand would also finish P3 overall in the Masters Shifter Championship.